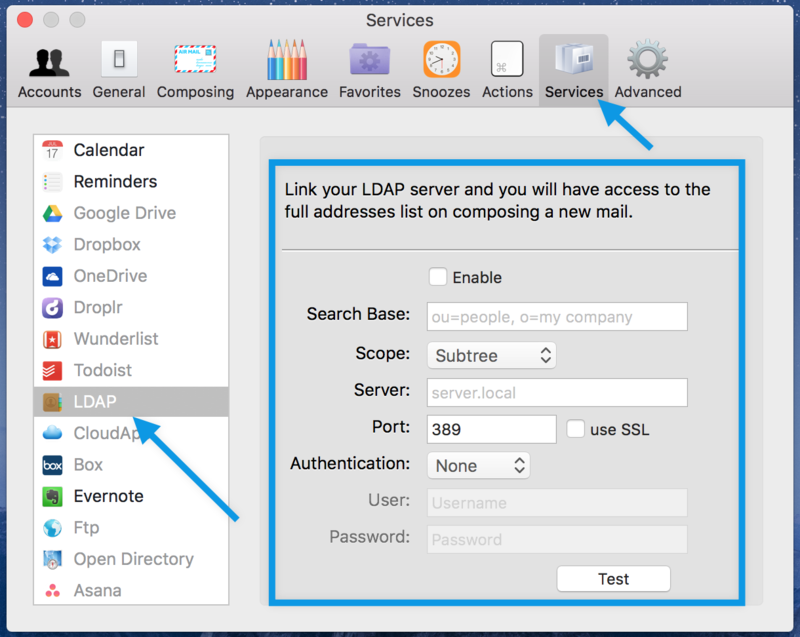 Once the LDAP Server is activated, Airmail will automatically search the LDAP directory. Open the "New Message" window. 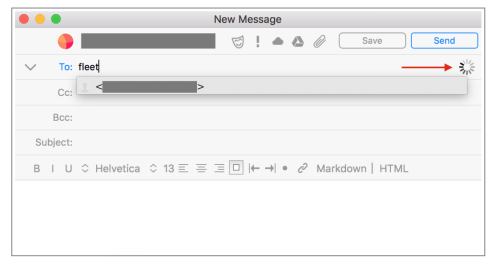 Start typing the name of the recipient in the "To" field. You will notice the loading icon on the right. That indicates that LDAP Directory is being searched.